The great significance of the biodiversity of the Seychelles islands was first recognised by Professor John Stanley Gardiner of Cambridge University. Gardiner organised and led the Percy Sladen Memorial Expedition to the Indian Ocean in 1905. The remarkable number of new species found in 1905 inspired Gardiner to organised a second expedition specifically to the Seychelles islands. These two expeditions remain the largest research effort to concentrate on the region. 100 years later the Indian Ocean Biodiversity Assessment 2000-2005 (IOBA) marked the centenary of the Gardiner expeditions by surveying the biodiversity of the Seychelles islands. This covered all 32 of the granitic islands, a range of the coral islands in the Amirantes, and Aldabra and the southern atolls. More significantly it assessed the diversity of every group of animal, plant, fungus and lichen, rather than relying on indicators. The results of this assessment are presented here as an analysis of the most important sites for biodiversity in the islands. 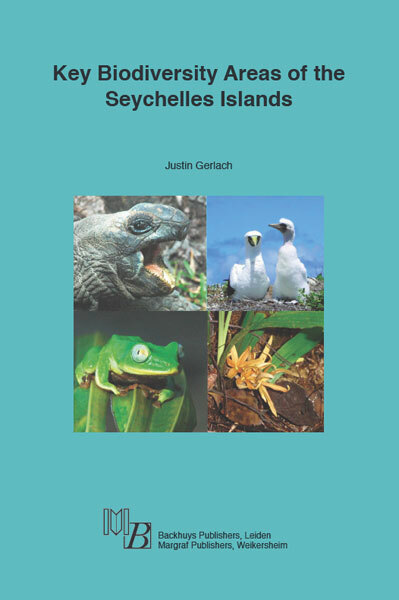 Further details of the biodiversity assessments and the publications arising from them can be found on the Nature Protection Trust of Seychelles web-site at http://islandbiodiversity.com. Several different approaches have been taken to the identification of the most important sites for conservation. These include analyses of the biologically richest areas (‘biodiversity hotspots’), important areas for specific groups (Important Bird Areas and Important Plant Areas) and areas containing threatened species (Alliance for Zero Extinction sites). The concept of Key Biodiversity Areas enables all these priority setting measures to be combined and this has been used in the analysis presented here. In defining the 48 Seychelles hotspots this assessment has three aims: drawing the attention of visitors to the islands to their exceptional biodiversity, highlighting the value of this biodiversity to island residents and determining the location of critical areas for conservation. With the exception of a small number of nature tours, visitors to the islands are rarely aware of the diversity of life around them. Similarly island residents too frequently take their surroundings for granted. This atlas will serve to draw attention to the locations that are truly exceptional and to the life forms that make them special. Conservationists require high quality biodiversity and geographical information in order to protect the most important sites. A remarkably high proportion of the land surface of Seychelles is protected but much of this has been defined on the basis of historical convenience or by the presence of a small number of species. Effective conservation requires a more reliable scientific basis that was available when these reserves were created in the 1960s and 1970s; the present analysis shows exactly where the Key Biodiversity Areas are and how these relate to existing protected areas.